For all you coral and sage green lovers out there, I've created something sweet! 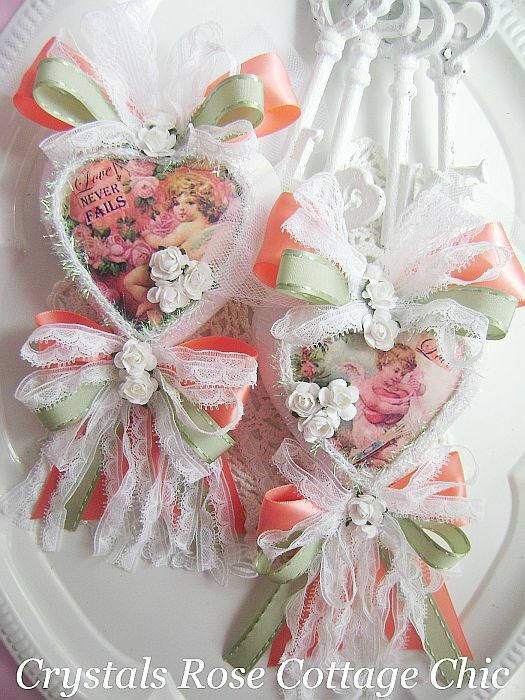 Vintage cherubs on heart ornaments overflowing with lace and ribbons and pretty, white, paper roses. 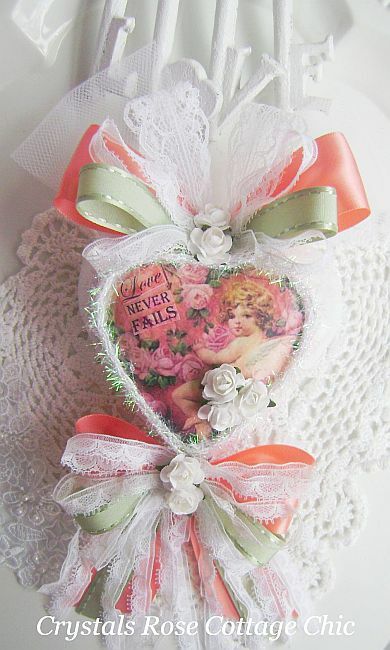 One ornament says "Love Never Fails" and the other simply says "Love". 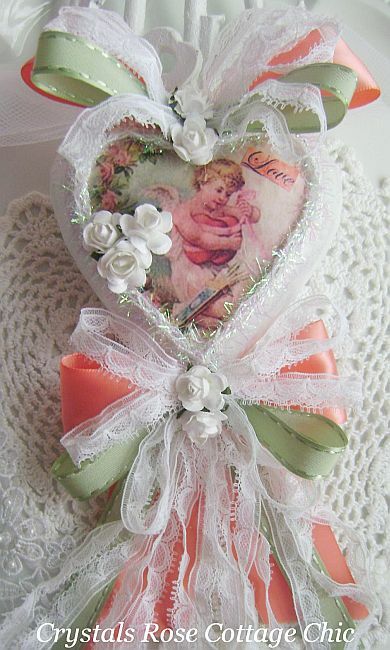 Display at Valentines Day or enjoy year round some place special in your home that needs a touch of vintage charm. More than one pair available.